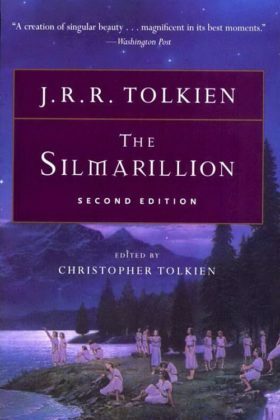 Tales and legends of the world’s beginnings and the First Age set the stage for Tolkien’s other classic works and focus on the theft of the Elves’ jewels by Morgoth, first dark lord of Middle-Earth. Fantasy/legendarium by J. R. R. Tolkien. Tales and legends chronicling the world’s beginnings and the happenings of the First Age set the stage for J. R. R. Tolkien’s other classic works and focus on the theft of the Elves’ jewels by Morgoth, first dark lord of Middle-Earth. Fantasy/legendarium for teen readers and older. Supplemental to The Hobbit and The Lord of the Rings.